25.05.2019 Nurses, your diocese needs you! More nurses are needed to accompany sick pilgrims on the diocesan pilgrimage to Lourdes from 25 to 31 May this year. Details are available on the diocesan website: www.birminghamdiocese.org.uk. 28.04.2019 Divine Mercy Sunday Next Sunday 28th April, the Second Sunday of Easter, is Divine Mercy Sunday. Divine Mercy Devotions, with exposition of the Blessed Sacrament and confessions, will be held from 3pm to 4pm in St Peter Apostle Church, Dormer Place, Leamington Spa, CV32 5AE. For parking please use St Peter’s multi storey car park. 25.04.2019 Mass with the Sacrament of the Anointing of the Sick Every last Thursday in the month there is an opportunity for those who are sick to partake of this sacrament. The practice of being anointed with oil as a powerful prayer for strengthening and healing dates back to the earliest Church. Scripture bears witness to this when it says: "Are there any who are sick among you? Let them send for the priests of the Church and let the priests pray over them, anointing them with oil in the name of the Lord; and the prayer of faith will save the sick persons, and the Lord will raise them up; and if they have committed any sins their sins will be forgiven them." 21.04.2019 Father Frank - Thank you Thank you for the collection today which is the customary Easter offering to your priest. I am grateful for the generosity of spirit which is shown in so many ways in the life of the Parish. 20.04.2019 HCPT The Pilgrimage Trust Group 83 Group 83 left for Lourdes yesterday (at a reasonable time). They return next Saturday. While there, they will meet up with groups from 11 other countries – all part of HCPT. All will spend one week together. Please do remember them all in your prayers. Do pray that they all have a safe and happy week together and return next Saturday full of joy, peace and happiness. They will remember your kindness and generosity to them. 14.04.2019 Holy Week Next week marks the beginning of Holy Week - the most important week in the Church's calendar. Holy Week begins with Palm Sunday. During Holy Week we celebrate the Easter Triduum, comprising the liturgies of Holy Thursday, Good Friday and the Easter Vigil (on Holy Saturday evening). These sacred liturgies shine forth as the high point of the Church's year. The Paschal Triduum is at the heart of all that it means to be the Church and we owe it to ourselves as Christians to be present at these key moments in the life of the worshipping community, for the sacred mysteries, which we celebrate on these three days, are the axle on which the rest of the liturgical year turns. 14.04.2019 HCPT Coffee Evening The result of recent Coffee Evening is £1392.15 – a brilliant result. This includes donations (some of which will be Gift Aided), items sold after the evening and Maureen's Lourdes Fund (this money has accumulated since the previous Coffee Evening in 2017.) This year the cost for each young person going to Lourdes this Easter is £850 – a lot of money, so the amount raised at the Coffee Evening will go towards their fares. Again many, many thanks to everyone who supported this very worthy cause. May God bless you all. 14.04.2019 The Sacred Paschal Triduum The liturgies of Holy Thursday, Good Friday and the Easter Vigil on Saturday have a peculiar beauty and dignity as they celebrate the greatest and most sacred mysteries of the Church. The Paschal Triduum begins with the evening Mass of the Lord's Supper on Holy Thursday evening when we are reminded of our Lord's institution of the Eucharist and of how he washed his disciples' feet. After the Last Supper, Jesus retreated to the Garden of Gethsemane for prayer and asked his disciples to watch in prayer with him. We do these things in remembrance of him on Holy Thursday. On Good Friday we read the Passion Narrative and venerate the Cross as we celebrate the great love Christ showed in laying down his life for us. The Easter Vigil takes place on Holy Saturday, in the night of Easter. The darkness of the tomb is overcome by the lighting of the Easter fire and the Paschal candle. The darkened church is filled with the light of the Risen Christ as the light of the Easter candle is shared among us. The joyful Easter Proclamation is sung in celebration of the mystery of Christ's glorious victory and of our salvation. The Liturgy of the Word traces salvation history and leads us to renew our Baptismal promises after the Blessing of the Waters of the font. There is no dismissal at the end of the liturgies of Holy Thursday and Good Friday; that is because the liturgies of the Paschal Triduum constitute a single rite - a sacred rite in which it is our great privilege and joy to participate. 14.04.2019 Millennium Project Our thanks to Joe Martin who emptied the Bottle and deposited £119.80 in the bank. A cheque will be paid into Fr Ed's account in the coming days to help with his projects in Lima. It is now 20 years since we first began helping. Sincere thanks to everyone who has contributed so faithfully over all these years. Our next breakfast is scheduled for Sunday 19th May. 11.04.2019 Sacrament of Reconciliation Fr Frank will be available to hear confessions after mass on Thursday, or by appointment. 07.04.2019 Devotions in Lent Every Tuesday in Lent, after the 10.00 am Mass, there will be an opportunity to pray the Stations of the Cross. On Thursday evenings of Lent, after Mass, there will Meditations on the Sorrowful Mysteries of the Holy Rosary, together with Adoration of the Blessed Sacrament. All are welcome to join in these devotions. 06.04.2019 Lenten Breakfasts The series of breakfasts and talks organised by Churches Together concludes next Saturday 6th April at 8.30am in the Methodist Church. Over five weeks we have been looking at five 'Big Questions', the fifth being, "Has science displaced religion?" 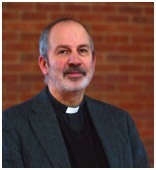 The speaker will be Revd Alan Bayes, Chaplain to the Whitgift school in Croydon. He has been interfaith adviser to the Bishops of Durham and Swansea & Brecon respectively. Before ordination he studied physics at Imperial College London, followed by postgraduate work in Astrophysics at University College, London. 05.04.2019 First Friday Devotions On the First Friday of every month there is a Votive Mass of the Sacred Heart of Jesus. St Margaret Mary received the vision of Christ which led to the devotion to the Sacred Heart. At the Consecration of our church a relic of Saint Margaret Mary was sealed in our altar giving us a special connection with this holy devotion. 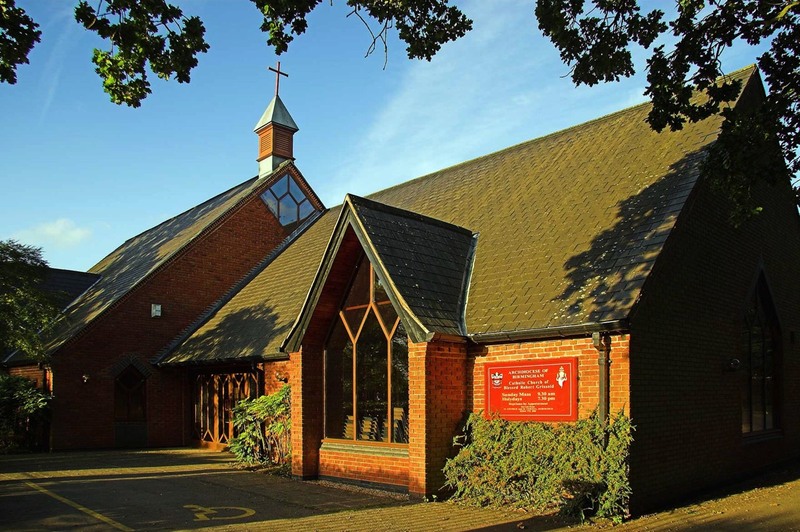 03.04.2019 Thanksgiving Mass for Des Foxon There will be thanksgiving mass on Wednesday 3rd April at 7.00 pm in St George & Teresa Church, Dorridge to mark the retirement of Des Foxon after 27 years as head of St George and Teresa School. All former pupils, parents and staff of the school are invited to attend. A "My Donate" page is open until 8th April for donations to the school PTA in honour of Mr Foxon’s retirement: https://mydonate.bt.com/fundraisers/stgeorgestteresaprimaryschool3. Get-together this Wednesday, 3rd April. We meet at 10.30 am in the parish room for tea, coffee , cakes and a chat. All welcome. Please pray for the parents, godparents, family and friends of Sophie Krystyna Donnelly who will be baptised here today after Mass. The winners of the first draw of 2019 are Ann Crossley (1st prize), Margaret McLellan (2nd prize) and Conor McSorley (3rd prize). A last reminder that the Coffee Evening is this Wednesday, 27th March, at 7.30pm in our Parish Room. Admission is 50p, which includes a cup of tea/coffee and a cake. Louise and Helen will be at the cake stall – they will be most grateful for donations of home-made cakes to sell. Everyone would be most welcome on the evening; do come along and bring a friend or neighbour and make it an enjoyable and worthwhile evening. Please note there will be a Mass on Monday at 10.00am to celebrate this great feast day. Maureen has managed to obtain another 12 of these booklets for Lent; if you would like to purchase one, please see her. Join us next Sunday 17th March after mass to enjoy delicious pancakes with various toppings along with your tea and coffee. Enjoy a tasty treat, meet other parishioners and raise funds for the parish. A donation of £2 is suggested. Please note that the Mass on Tuesday begins at 9.30am. Mass will be followed by Stations of the Cross. We have been invited by the Deanery to join in a month of prayer for vocations to the priesthood. We are all asked to select a day in March and to commit to praying on that day for vocations. If you feel you would like to join in please put your name on the sheet at the back of the church against your selected day. Please see Bysshe for further details. As part of our celebrations to mark the 25th anniversary of the construction of our church, we are considering commissioning a new stained-glass window for the small window at the back of church. We have two painted glass windows on either side of the altar representing Baptism and Confirmation. The new window would represent The Eucharist; the estimated cost is approximately £2,500. We will be approaching Catholic businesses in the area to ask for donations but would also like to offer members of the parish the option to pledge money, either on their own behalf or to remember a loved one. All pledges will be remembered on a plaque next to the new window. Ian and Ellie Clarke will be available after Mass if you would like to know more or wish to pledge money. This Wednesday, 6th March. We meet at 10.30am in the Parish room for tea, coffee, cakes and a chat. All welcome. Next meeting is on Monday 4th March at 7.30pm in the upper Davenport Room, St Peter's Parish Centre, Leamington Spa CV32 5AE. It is hoped that each parish will be represented. Contact: Peter Dimambro tel: 01926 428399 email: mdimambro@hotmail.co.uk. Our local celebration of this world-wide ecumenical service is at 10.30am on Friday 1st March at Balsall Common Methodist Church. Please put the date in your diary! If you are willing to help on the day, please contact Louise Perry on 01676 533357 or email jlgperry@btinternet.com. Confirmation candidates and any seeking reception into full communion with the Church this year must submit their names and contact details to Fr Frank, by email, (address given at the end of the newsletter) before the end of February 2019. CTBB Drop In Youth Café at 1.30 pm – 3.30 pm, Wednesday 20th February at the Jubilee Centre, open to year 6 and above. £1 entry, includes cake and a drink. Crafts, games and prizes!